"Use crushed, crisp rice cereal squares instead of panko crumbs for a gluten-free version!" Pound chicken breasts, one at a time in a resealable freezer bag, until about 1/2-inch thick. Lightly beat egg in a shallow bowl. 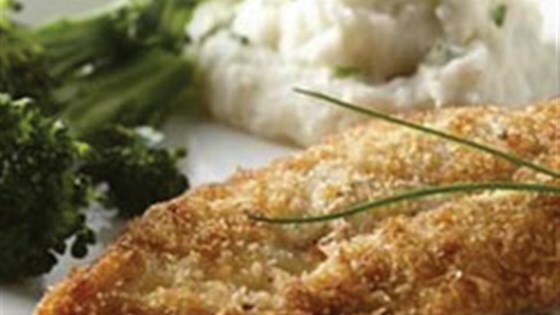 Combine panko crumbs, salt, pepper, garlic powder and onion powder in a separate shallow bowl. Dip chicken breasts in egg until coated, drip off excess and dip in panko mixture. Press chicken into crumbs until fully coated. Delicious! I loved the crispy panko breading! It was a great easy recipe full of flavor! I did sprinkle a little Parmesan cheese on top! Yum!